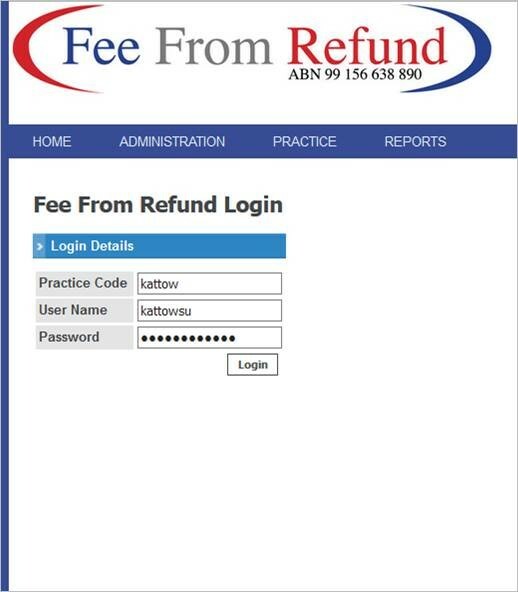 Below are some simple screen shots showing you how simple Fee From Refund is. (or import your existing database from your tax software to save this step). Step 3. 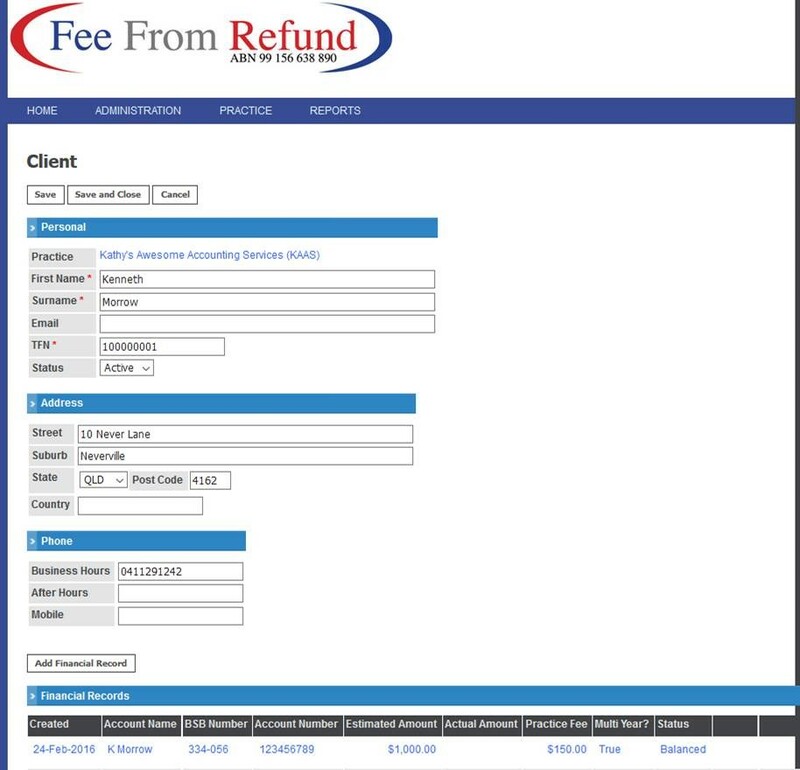 Submit the Authority request to Fee From Refund at the click of a button. 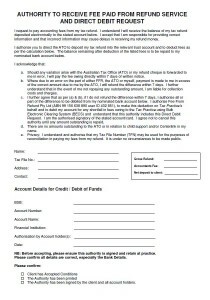 Click here to download the Authority to receive fee paid from Refund Service and Direct Debit Request form. 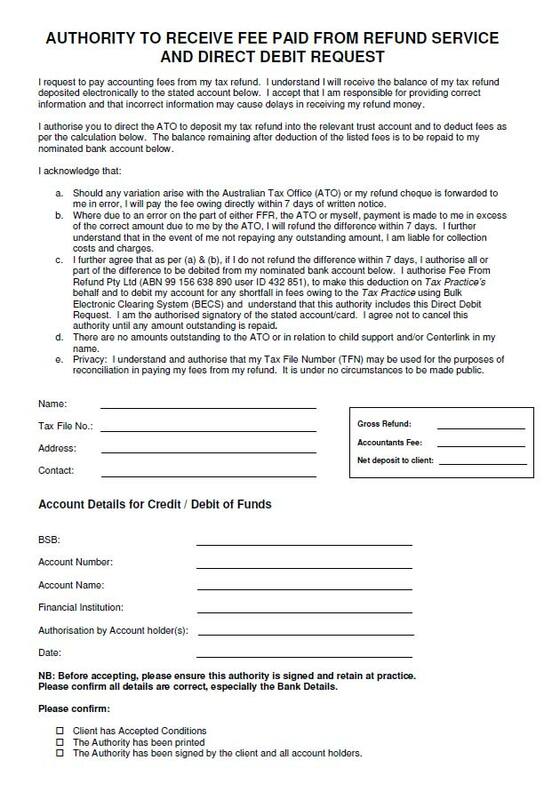 Once the refund has been processed, the ATO sends the refund to your independent fully secured Fee From Refund bank account and an advice to you. 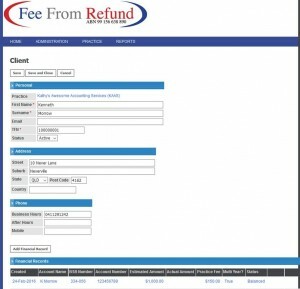 Simply upload this advice and Fee From Refund does the rest. This allows you to reconcile 1 or 1000 customers all at the push of a button. Once the clients’ fees are reconciled (this is completed daily) the client’s refund is directly deposited into their nominated bank account, less the fees. 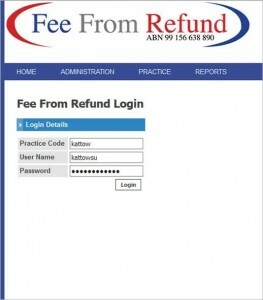 Fee From Refund will then forward your net Practices’ Fees to you.